A minimum stay of 30 nights is required. We are sorry that we are unable to extend any online reservations for this property. Please fill in our request form for long stay enquiries. 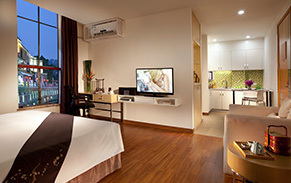 Alternatively, you can also call us for reservation assistance. 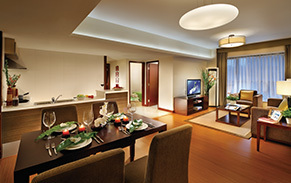 Located along the Pearl River near Canton Tower, Somerset Riviera Guangzhou is nestled in a high-class waterfront residential enclave and overlooks Ersha Island and Zhujiang New Town, offering you and your family a peaceful stay in the city. 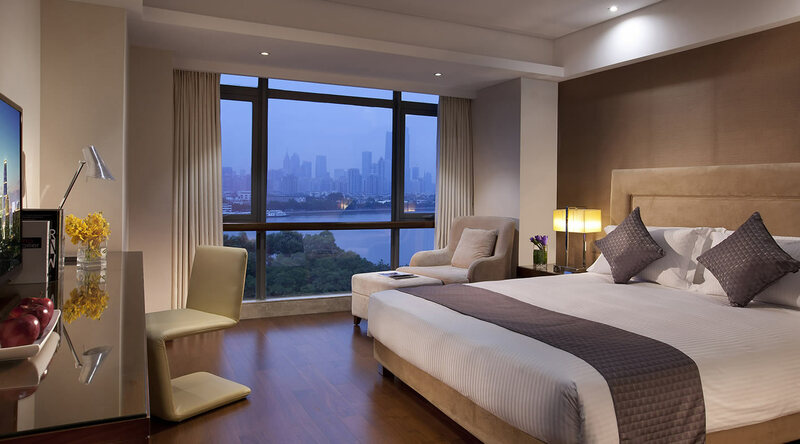 Each of the serviced residence’s 32 four-bedroom apartments comes with picturesque views of the river skyline. Residents enjoy private lift access and spacious living spaces, each apartment is furnished with a fully-equipped kitchen and a comprehensive family entertainment system.Stay on top of work with high-speed wireless broadband and business centre support, while feel assured of your safety with our 24-hour security services and camera surveillance. Somerset Riviera offers not only scenic waterfront living, but also a healthy lifestyle. Facilities such as a fitness corner, swimming pool and a children's playroom allow you to live a balanced and carefree life with your family and loved ones. Residents' events that are thoughtfully planned out allow you to widen your social circle and blend effortlessly into your new home, Guangzhou. 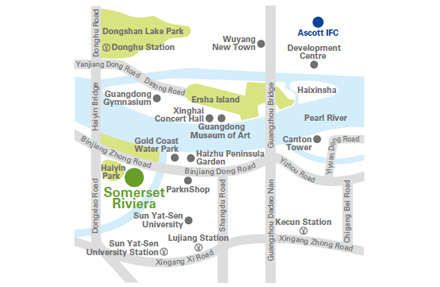 Somerset Riviera Guangzhou is one of a premier collection of The Ascott Limited's serviced residences in over 80 cities in Asia Pacific, Europe and the Gulf region. A member of CapitaLand, it is the global leader in branded serviced residences, bringing you 30 years' experience in supporting travellers who work and live away from home. Because life is about living. 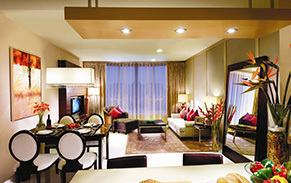 As our resident, enjoy exclusive discounts with our partners by showing your Ascott keycard! For more details please click here. 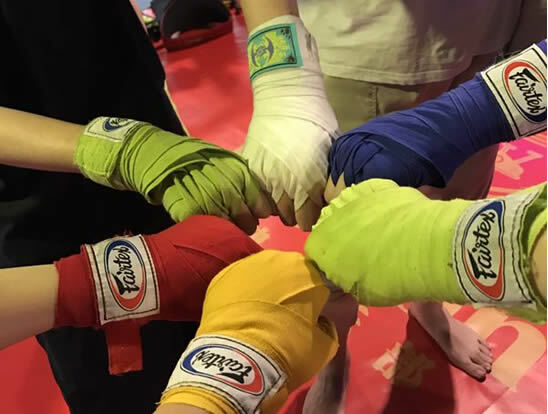 In order to enrich residents’ weekend life, and encourage them to learn more knowledge in fun, On 24th March 2018, Somerset Riviera Guangzhou held a Boxing Class at the Passion Gym Club. Under the professional guidance by boxing coach ,guests had learned the basic movements of boxing. SRG and our guests enjoy green healthy Earth Hour together. On this year’s Earth Hour Day, Somerset Riviera Guangzhou held a DIY Handicraft with Concrete at the Residents’ Lounge. The curriculum is taught by Architecture, Dr. Xiong of South China University of Technology. 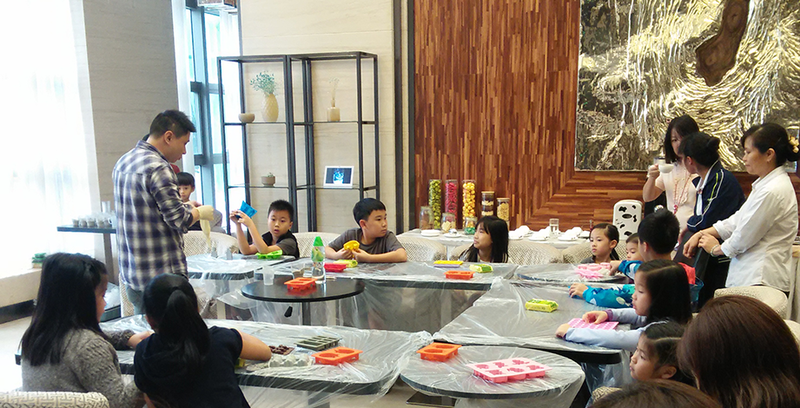 Under the professional guidance by Dr. Xiong ,guests made their special concrete fridge magnets & pothooks successfully. All the guests enjoyed such a pleasant and meaningful activity.